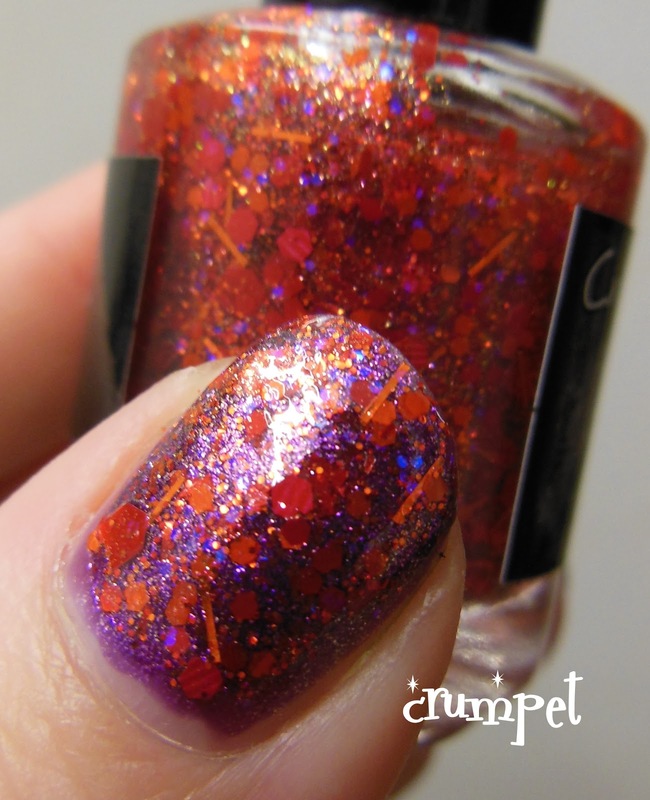 The minute I first saw Crows Toes Halloween Collection, THIS was the one I knew I had to have - isn't she GLORIOUS ?? 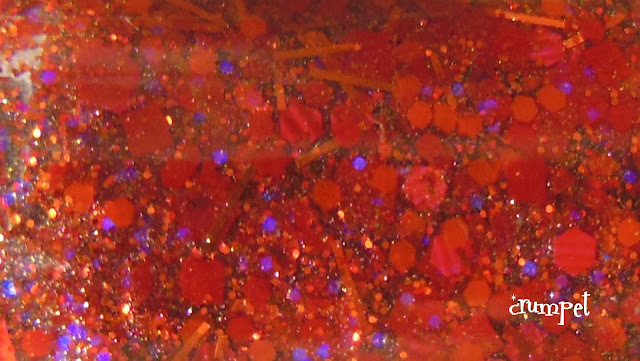 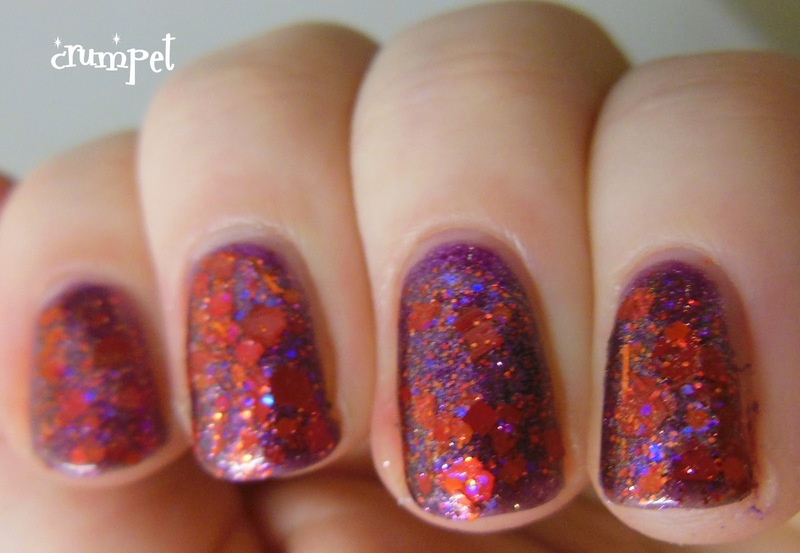 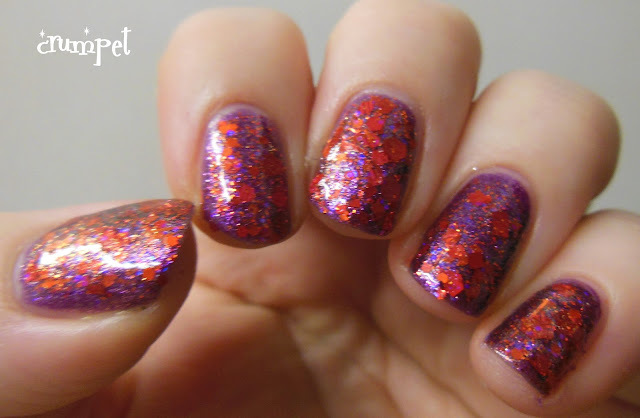 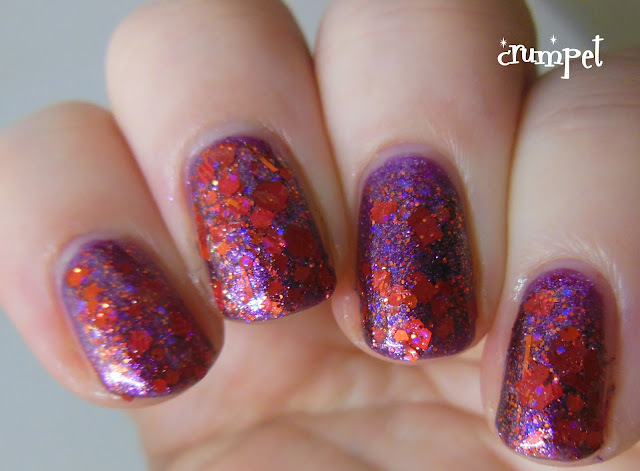 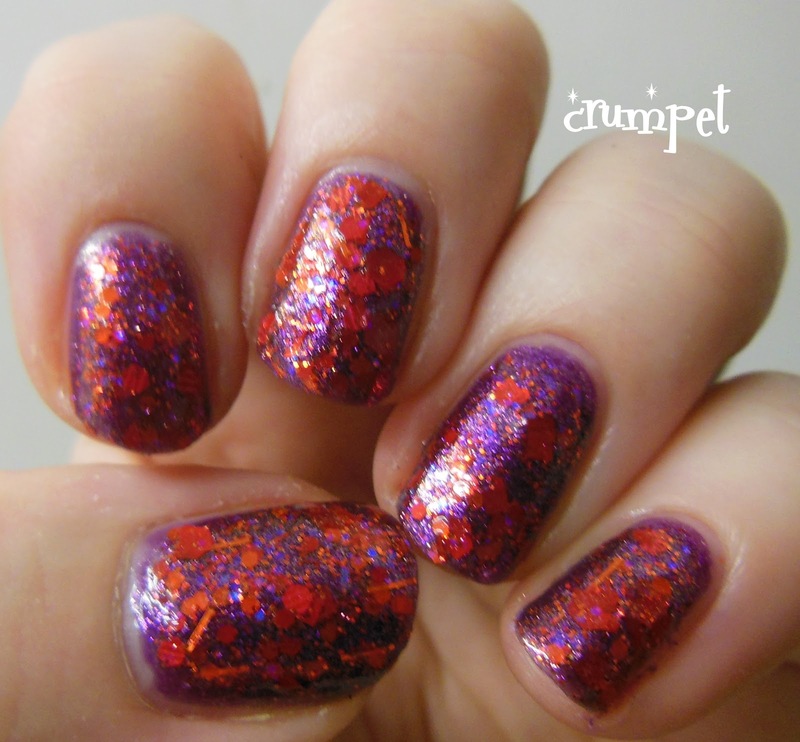 HHNF is a glorious soup of red and orange glitters and flashes of violet. 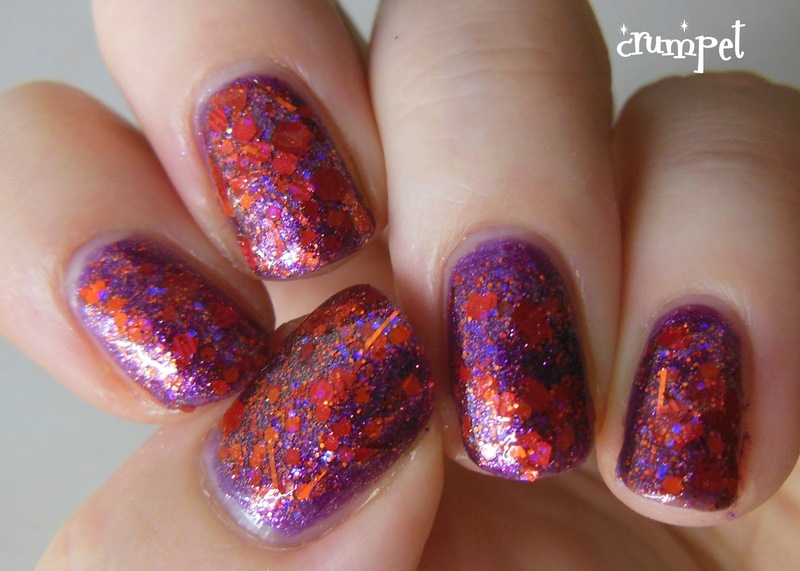 Everybody who has swatched this polish has done the obvious and layered it over orange. 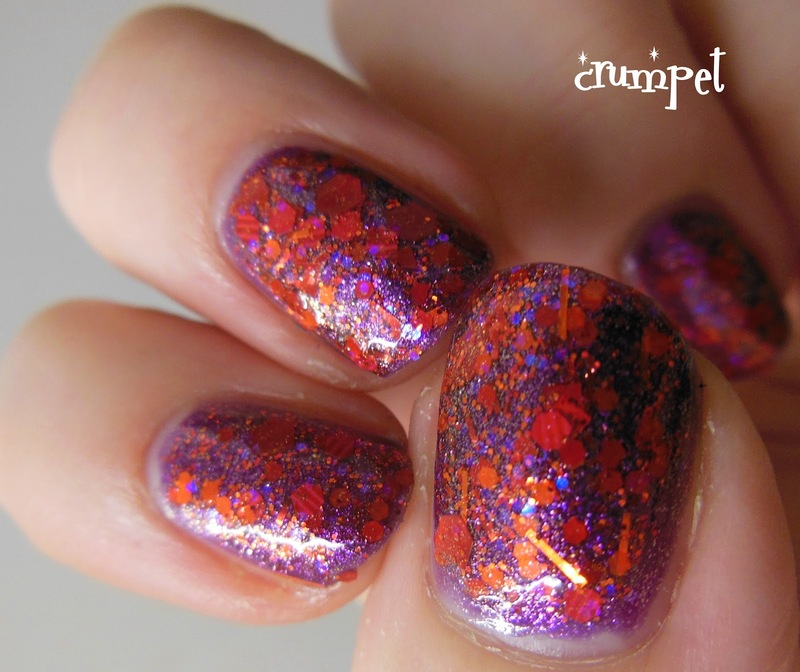 I am not criticising them at all - orange is a perfect base for it - but I wanted to do something different. 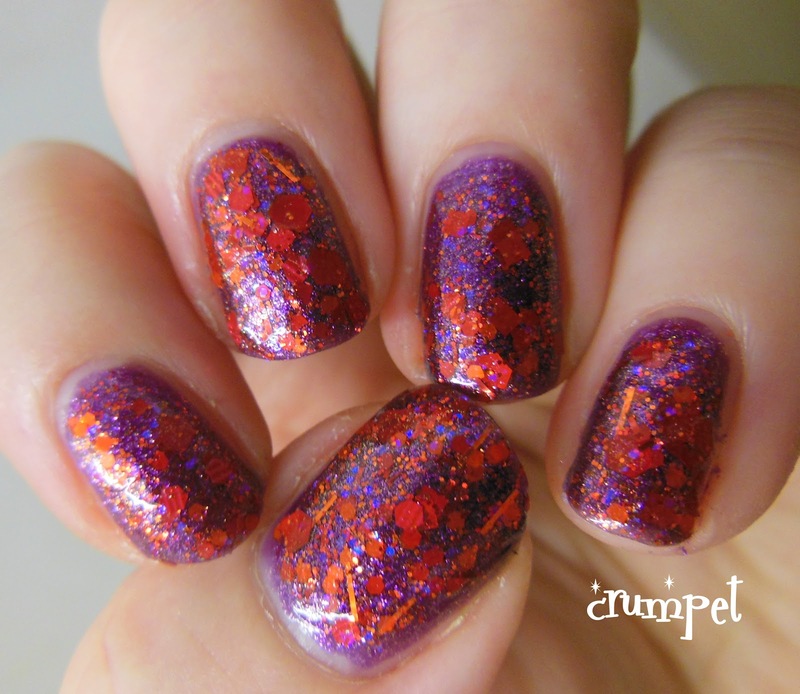 KIKO 278 is the purple I used for the zombie blood splatter. 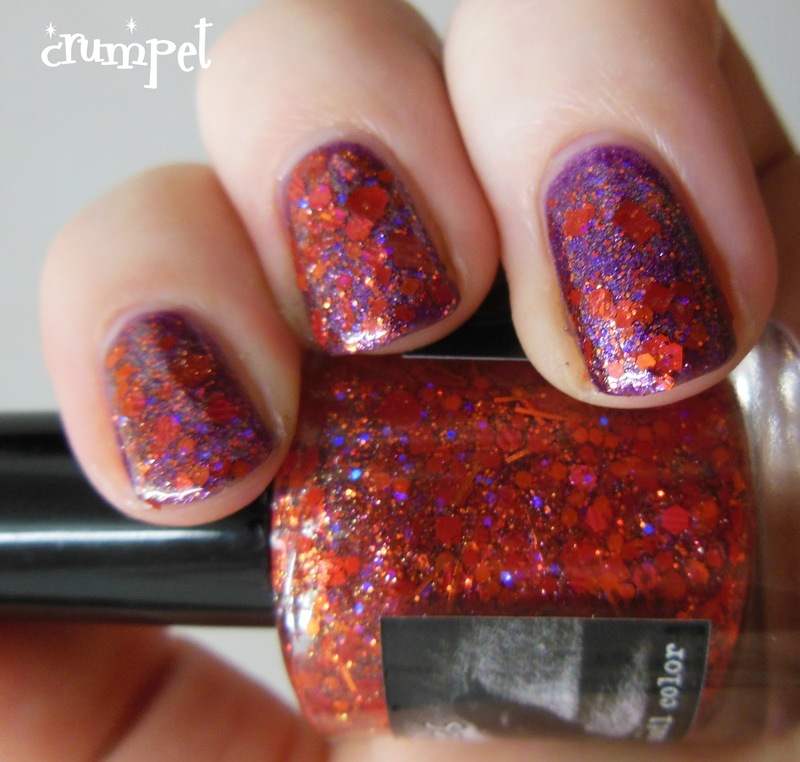 Not only is it a lovely purple, it's glass flecked and sparkly, and it ALSO made a perfect base for this polish. 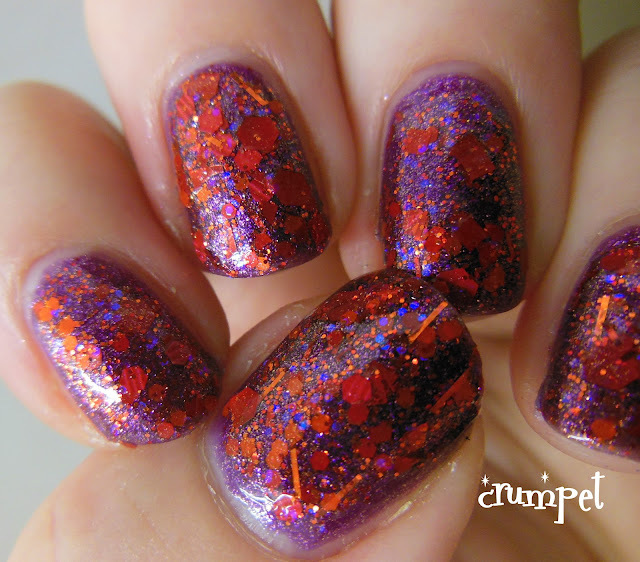 The overall combination was just soooo dazzling .... ugh, it was a combo I didn't want to take off. 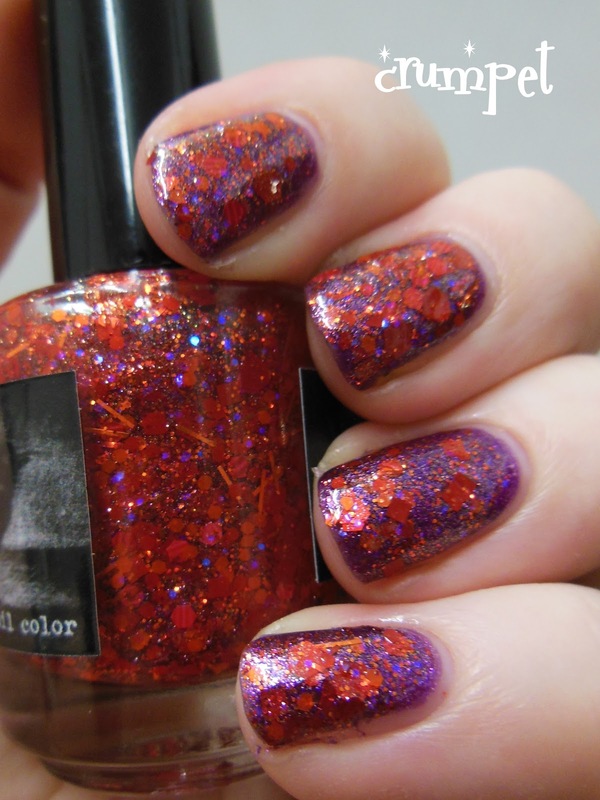 In fact, the only thing that runs it close is its sister polish .... VooDoo, and you can see her tomorrow.